When you lose someone you love, the person you lost lives on in your memory, and the memories of every person he or she touched throughout his or her life. Part of who they are lives on inside of us. They become part of who we are, and eventually the time comes for you to project yourself as a memory to future generations, and that part of you is a synthesis of every person you lost and held dearly in your heart. So in a way, no one ever leaves us; no one passes away, we are merely passed on. 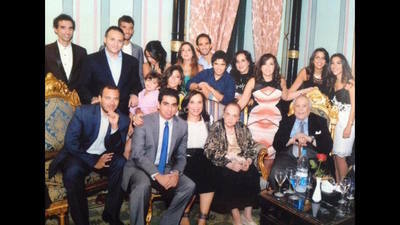 My grandfather, Dr. Mohamed Abdel Kader Hatem, was passed on to his children, grandchildren, great-grandchildren and friends on a Tuesday afternoon at the age of 97. History will remember him for his many great achievements, from taking part in the resistance against British occupation to his role as prime minister during the war of 1973, to his service in both President Gamal Abdel Nasser and Anwar El Sadat’s cabinets, as well as serving as minister of information, tourism, and education. 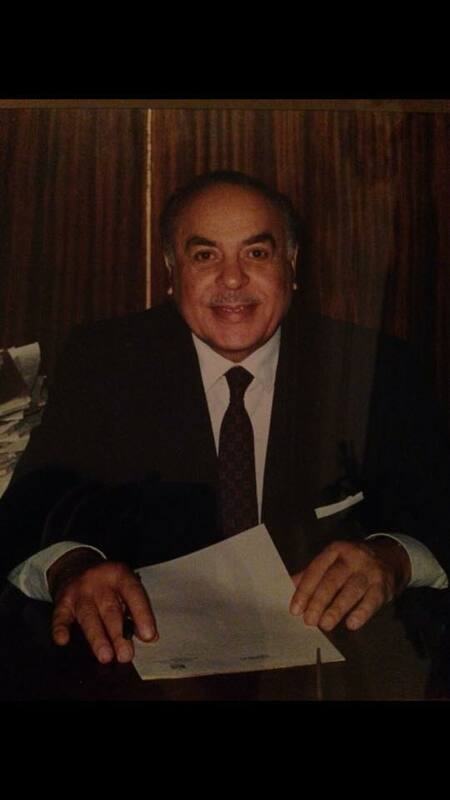 Born in Alexandria in 1918, my grandfather was the founder of state news agency MENA. He was often referred to as the father of Egyptian television. His contribution was a labor of love. Introducing the country to television was a defining moment in Egypt and the Arab world. “Television is the cultural pyramid of Egypt. Egyptian television is the very simulacrum of the nation of the eternal River Nile,” he once told Al-Ahram weekly. He later went on to launch television in Libya, Kuwait, Aleppo, and Syria. His influence on my life started there, for thanks to my grandfather, the Arab world was introduced to instant cinema at the push of a button. He did not know it at the time, but his contribution would eventually make my future movie-watching frenzy a possibility. Every single film I watched on television, VCR, DVD or Blu-ray, I owed to him. My grandfather opened the door to my love for cinema and career as a film critic decades before I was even born. At the age of 97, my grandfather was still very much active. He would talk for hours on end about his many adventures around the world. I once asked him the secret to living a long life, and his response was simple. “Read.” Indeed, whenever, we would visit him, my grandfather would be buried in books. He kept his brain active through literature; his hunger for knowledge kept him alive. As of today, he has written over twenty books, and I would like to think my love for writing is an attribute I inherited from him. Sometimes I wish I expressed my love and admiration to him more often. If I could give my grandfather one thing before his death, it would be to see himself through my eyes, only then would he realize how special he was to me. Yet, in many ways, just as he was passed on to me, I believe we are passed on to them in their departure as well. They do not travel alone to the next world; they take part of us with them. My grandfather meant a lot to a many people. I know history will remember him for other reasons, but beneath his contributions was a caring grandfather to my brothers Amin, Karim, and Omar, a loving husband of sixty years to Grandma Mediha, and a wonderful father to Iman, and Tarek, Mayssa, and Hala. His many grandchildren and great-grandchildren will carry his memory for the rest of their lives, and his treasured memory will be passed along to our children and grandchildren. TIFF 2016: "Boundaries," "Justin Timberlake + The Tennessee Kids," "Barakah Meets Barakah"